The Rebel Sweetheart. : Is It Better to Rent or Own in Florida? 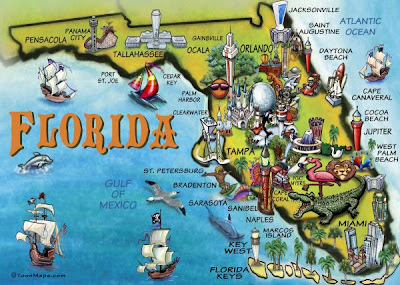 Florida is a great place to purchase real estate. It's a desirable place to live for families as it offers the perfect climate, great scenery, and plenty of job opportunities. However, the housing collapse has made many buyers question whether it's the right time to purchase a home and most cannot qualify for a mortgage. Perhaps renting is a better alternative considering the instability of real estate. Below, you will find positive and negatives to both renting and buying, so that you can make a decision for yourself. Real estate will never be considered a stable investment again. The economic conditions throughout the world are creating instability and buying a home is considered to be risky. Renting has no dangers or commitments. At any time, you could end your lease and move out. You're not tied down to a mortgage like you are with a home, so there is very little worry associated with renting. Florida homes sell for very high dollar amounts and by purchasing a home your monthly payments will be applied to your mortgage. This builds equity and when it comes time to sell the property, you are likely to make profit. However, if the economy were to experience another downfall, the value of your home would surely depreciate. If you believe that housing prices are only going to rise and another recession is unlikely, then owning your own home should be something you are considering. Renting is not an investment, since you are not build equity, nor can you sell the property. It's not yours like a home that you own would be, so therefore, your monthly payments are simply contributing to nothing. One benefit that you have working in your favor when you decide to purchase a home in Florida is that these homes are highly desirable. Florida is the perfect place to live when it comes to raising a family and living comfortably. There are families that move to Florida regularly and if you own a home here, it's likely to sell very quickly after you put it on the market. Some would say this provides a guarantee that your investment is safe, but there are always risks involved. Buying a home is generally considered the smartest choice economically. However, the instability of the economy has created a lot of concerns for potential buyers. One thing is certain; fewer people are buying homes today than they were just a decade ago. Renting allows you to live comfortably without straining yourself to pay a mortgage and it also provides an opportunity to save money and prepare for a potential purchase.